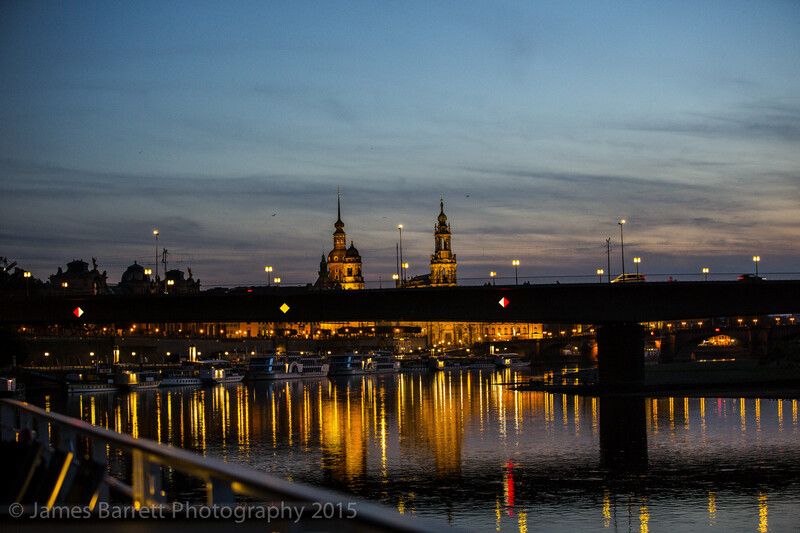 Dresden was one of the anchorages for our Elbe experience, Wittenberg the other. 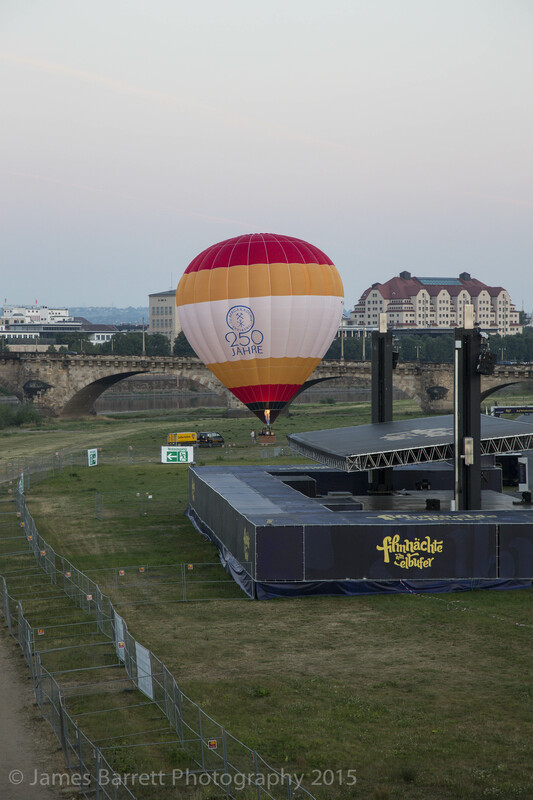 The Elbe water level during July and August 2015 was so low that only ships with draft of a meter or less were able to sail. Our ships, both the Astrild and the Beyla rested on the bottom and daily were somehow moved closer to the middle of the river so that the ship was level and doors would operate appropriately. Mid week we were bussed from one to the other. We did, however, cruise for about 90 minutes on a 130 year old coal fired paddle steamer with a shallow draft, the Diesbar. While the local vacationers enjoyed beer and snacks on board, our group looked for shade and a breeze in the nearly 100 F heat. 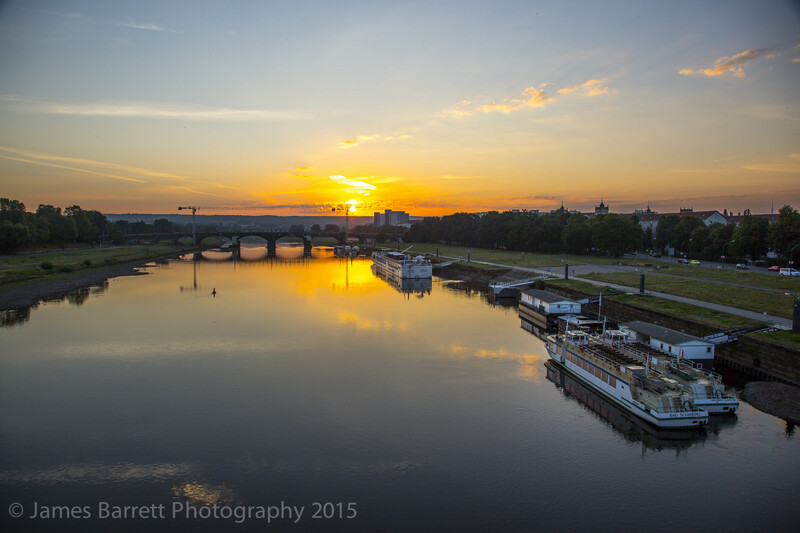 This cruise covered a stretch of the Elbe that had been designated a UNESCO World Heritage site in recognition of its vineyards, villas and castles. Its UNESCO designation was rescinded when the city decided to build a modern bridge the Waldschlosschenbrucke https://en.wikipedia.org/wiki/Waldschlösschen_Bridgeto to relieve traffic congestion. 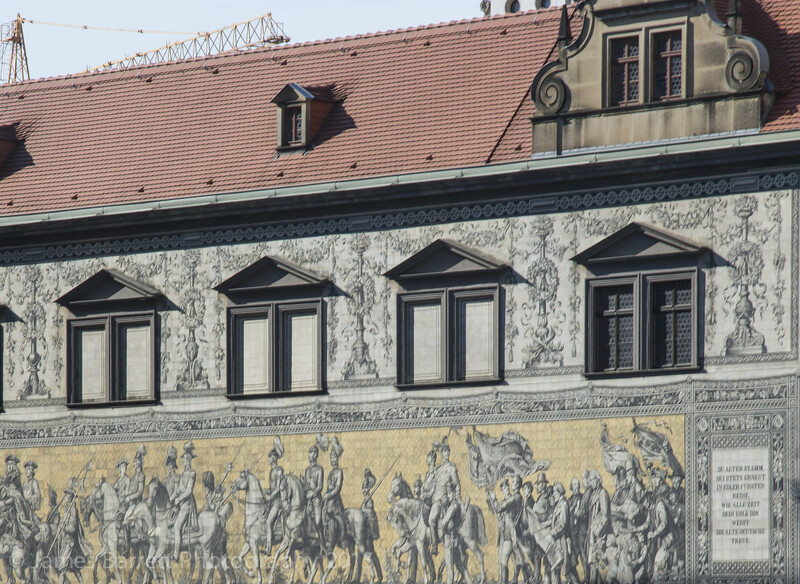 The city has been rebuilt in the baroque and rococo styles present before the war and now may again claim its title as the Jewel Box. 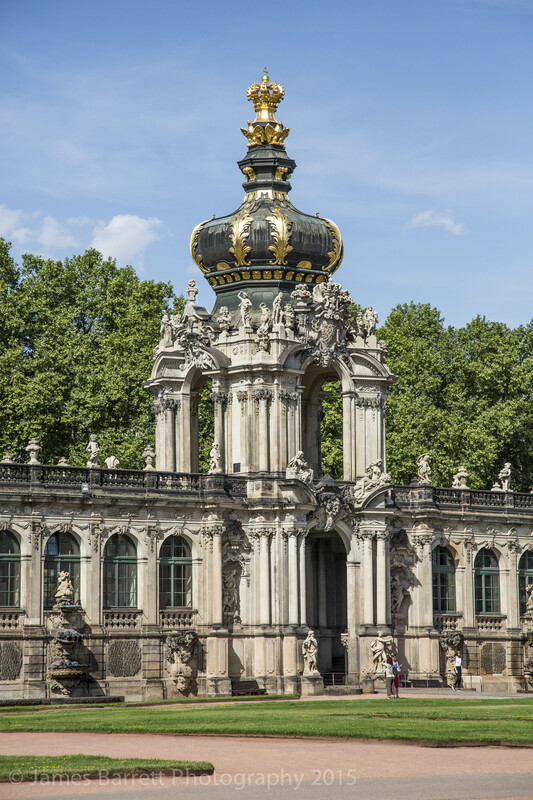 Before and since the German reunification of 1990, Dresden was and is a political, cultural, educational and economic center of Germany and Europe. As we were moored and aground near the city center, it was possible to disembark in the early morning to watch the sun rise over the city from the Augustus bridge. 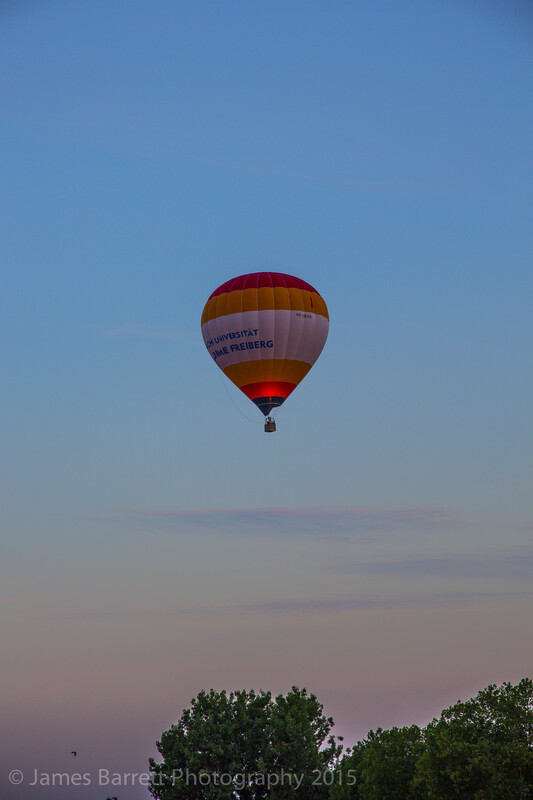 I caught a picture of a hot air balloon launch, and watched bicyclers on their way to work. The bridge has separate stair access for pedestrians/peddlers, and street cars. Our walking tour this morning was through the Zwinger, a name derived from a medieval term for the part of a fortification between the outer and inner walls, which in this case began to take shape in the late 12th century. 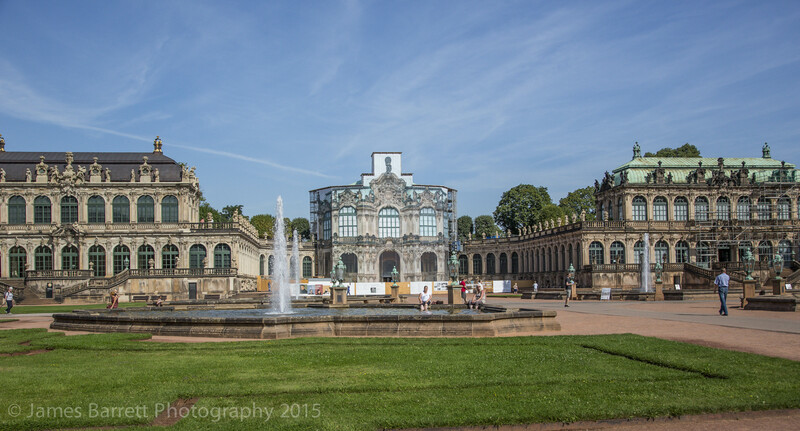 https://en.wikipedia.org/wiki/Zwinger_(Dresden) . 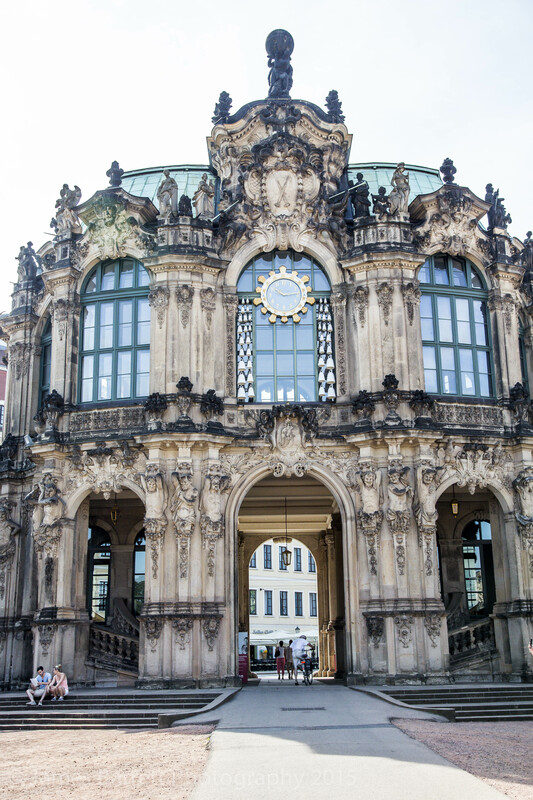 The Zwinger was part of the Dresden Castle and, destroyed during WWII, was rebuilt in the original Baroque style. 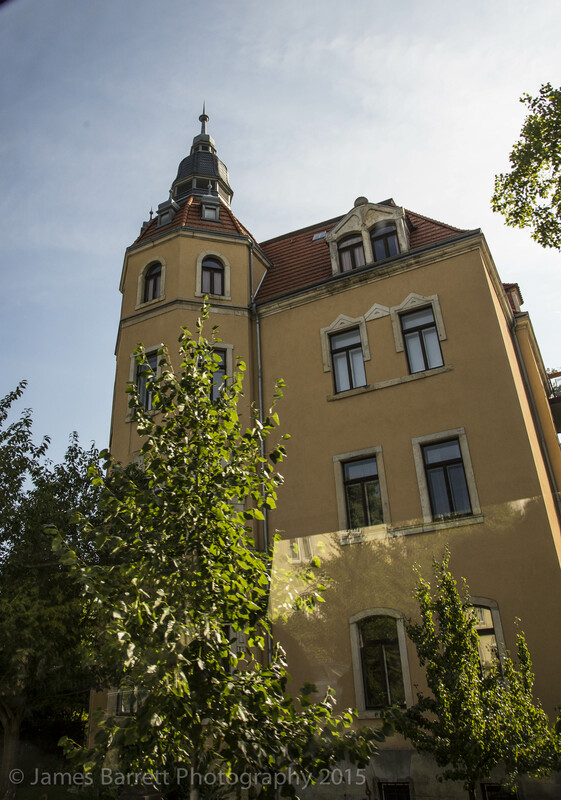 We toured the grounds, listened to the tolling of the noon hour by a carrillon of Meissen bells, and observed the riches of the Green Vault which had hidden in a bomb proof enclosure at Koenigstein ( see Saxson Switzerland page ) during WWII. This priceless collection in 12 rooms of the New Green Vault is just mind-boggling. Just imagine a cherry stone having carvings of 185 faces, a Golden Coffee Service (1697-1701) and Royal Household at Delhi (1701-1708) both by Johan Melchoir Dinglinger https://en.wikipedia.org/wiki/Johann_Melchior_Dinglinger who fashioned both pieces without a commission, and then waited for Elector Augustus to pay for them. 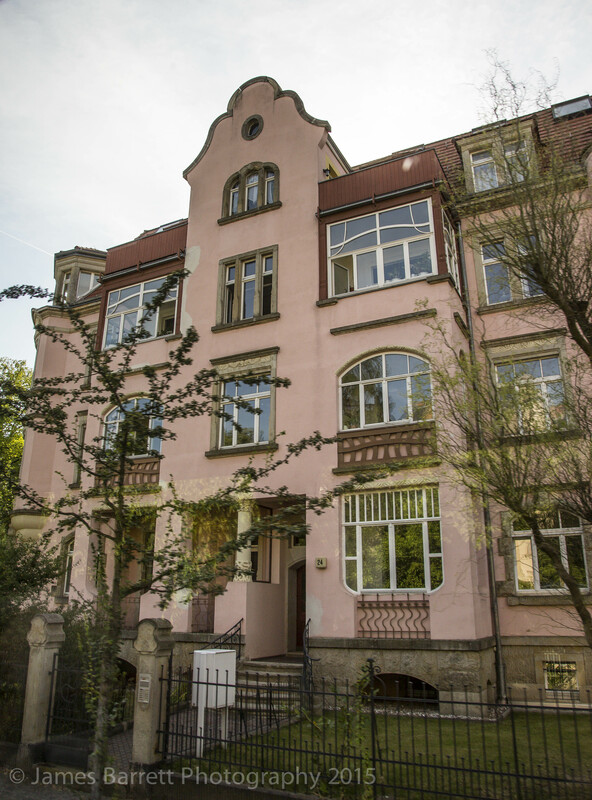 You can see small pictures of these here: https://en.wikipedia.org/wiki/Grünes_Gewölbe. We saw the “Dresden Green Diamond”, the only large naturally green diamond found to date https://en.wikipedia.org/wiki/Dresden_Green_Diamond . Sadly, we could not take pictures in the museum. 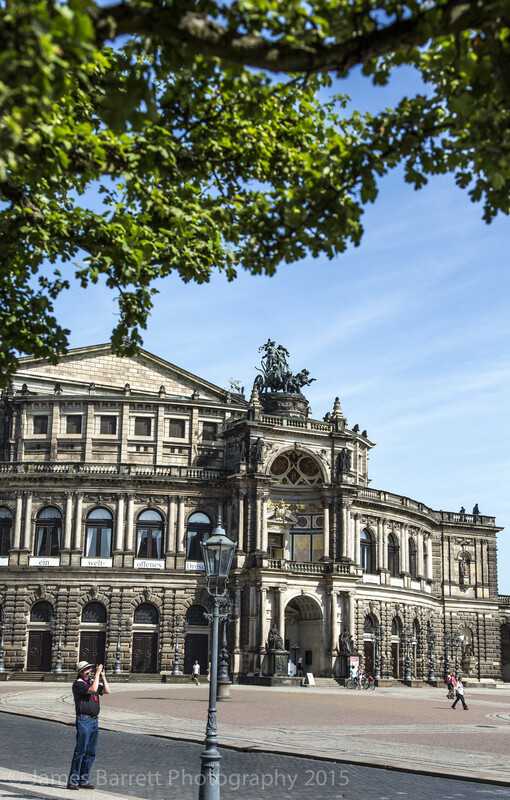 Adjacent to the Zwinger is the Royal Theater designed by Gottfried Semper in the early 19th Century. Before it was ravaged by fire in 1869, Richard Wagner conducted the premier performance of Tannhauser. 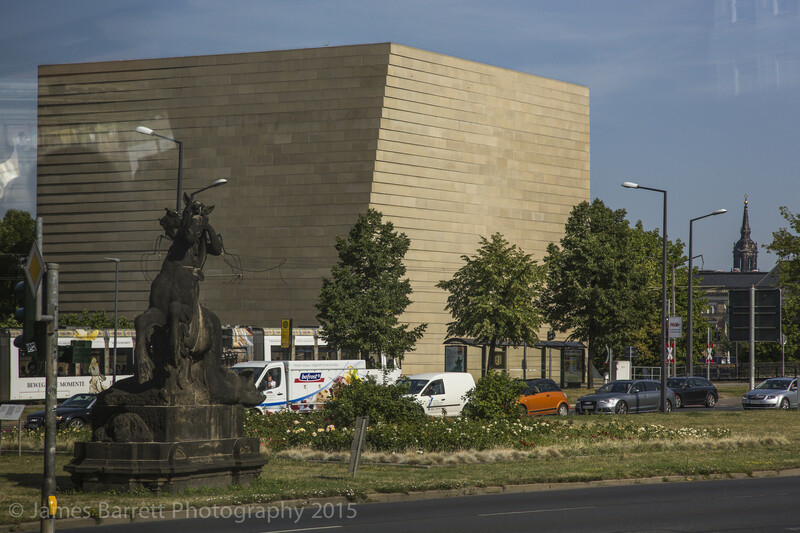 The Theater today is a reconstruction with modern acoustics of the structure that suffered bombing in 1945. 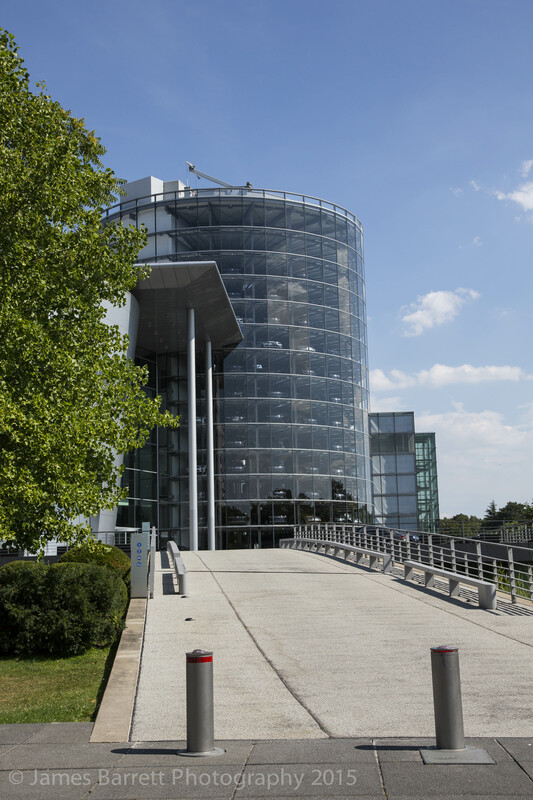 Our next stop was the Transparent Factory https://en.wikipedia.org/wiki/Transparent_Factory where the VW Phaeton and the Bentley Continental Flying Spur https://en.wikipedia.org/wiki/Bentley_Continental_Flying_Spur_(2005). Another very hot day, but thankfully the factory was air-conditioned. 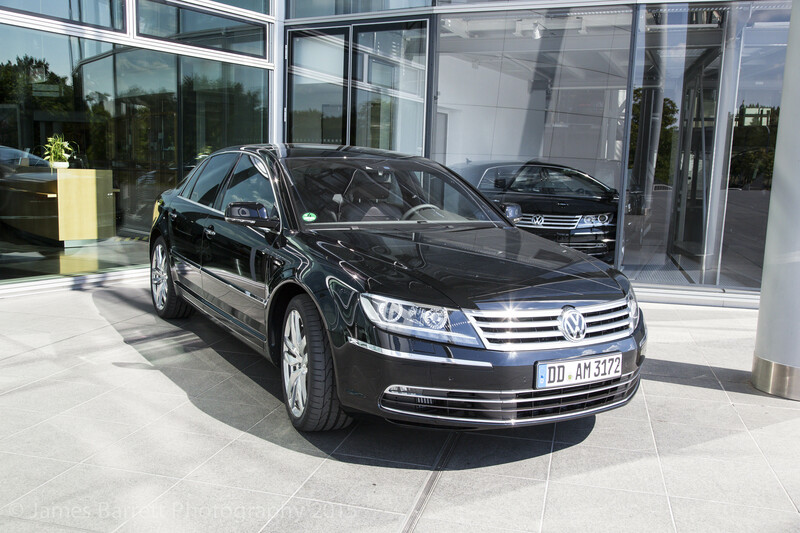 The Phaeton is the top-of-the-line VW; one may visit the factory and personally build a car from the multitude of available options with the aid of a dedicated sales person. The car is assembled from parts finished elsewhere and shipped to the plant. 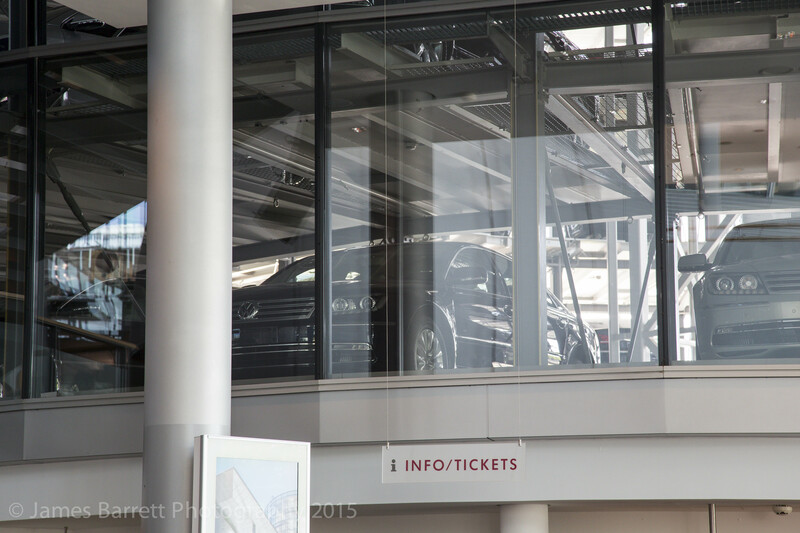 The chassis and body are put on separate harnesses on a conveyor line and joined where the two lines converge, all in full view of observation decks open to visitors and future owners. Each car undergoes over a week of inspections and testing after assembly and is stored in a round glass silo before it is released to an owner. The Bentleys are assembled in a similar fashion. 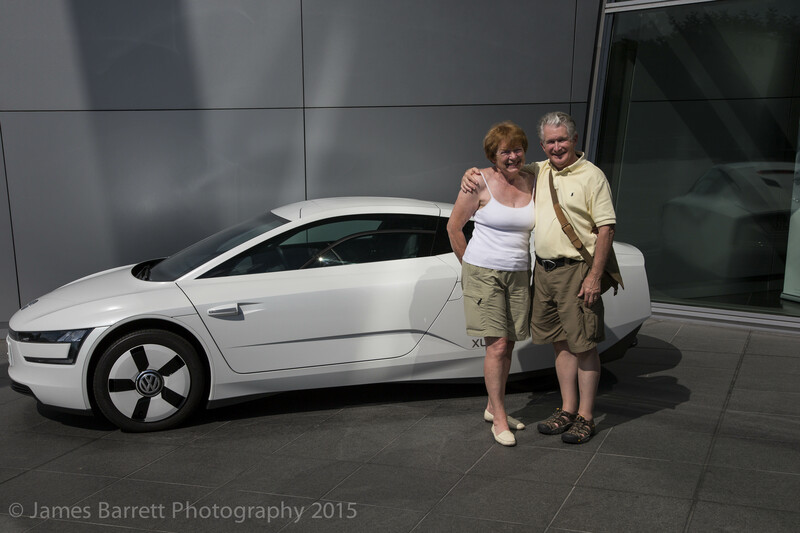 We learned that the current model has had only minor modifications in its 13 year model run. It is no longer sold in the US due to limited demand; China, however, is the prime market for this vehicle. I did sit in a Phaeton, and, truth be told, felt that it was outdated compared to the Mercedes S Class, my preferred vehicle. 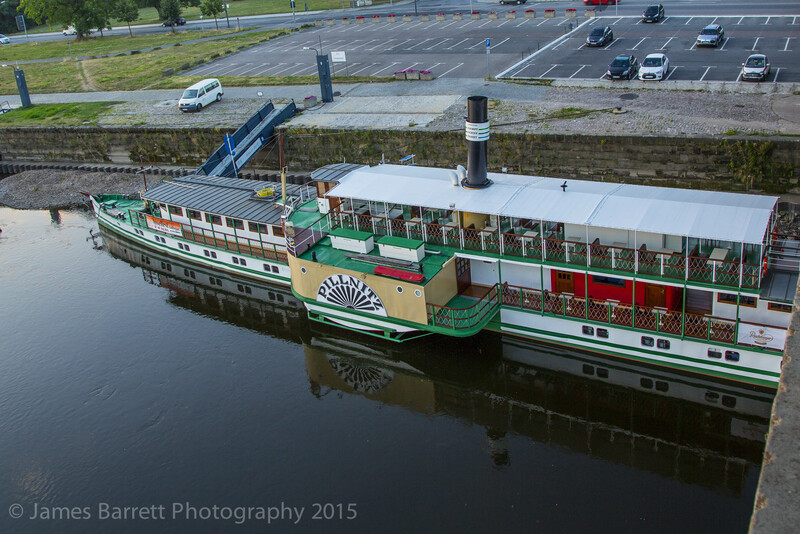 This boat is a coal fired paddle wheeler with a draft shallow enough to sail in the low water of the Elbe. 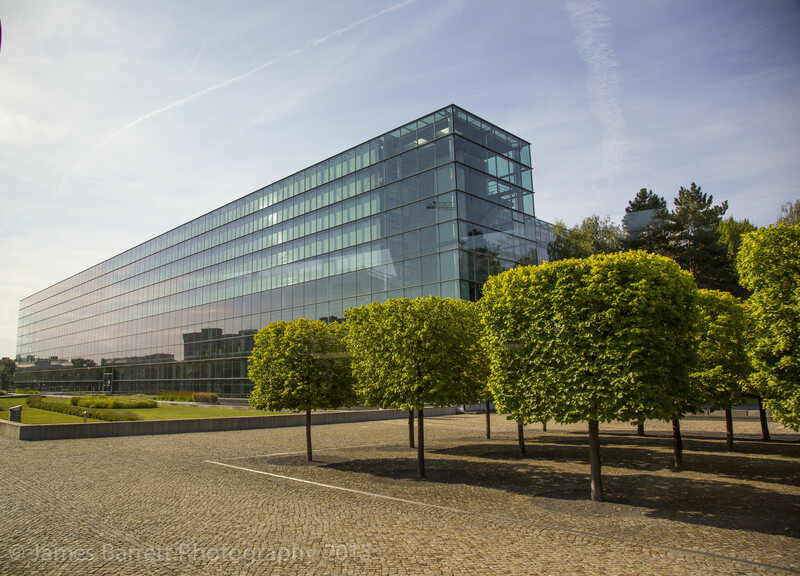 This modern building is the New Synagogue. 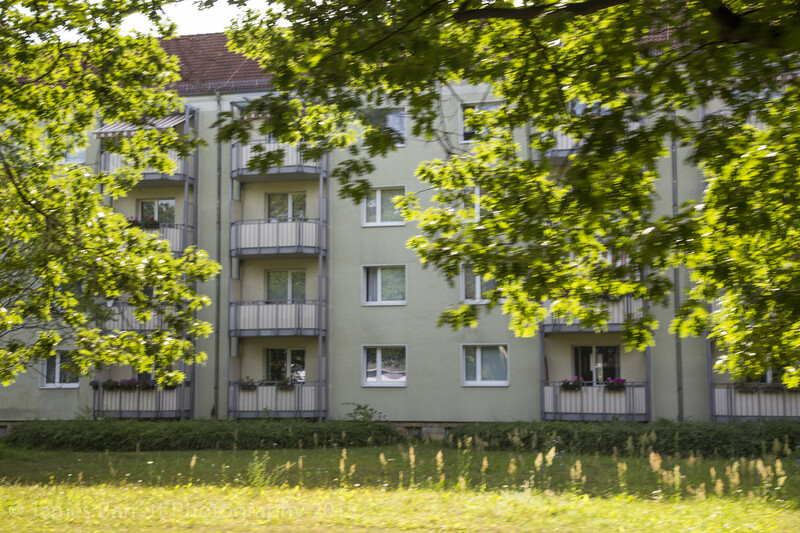 Troops and those displaced from their homes were placed in Soviet built apartments. 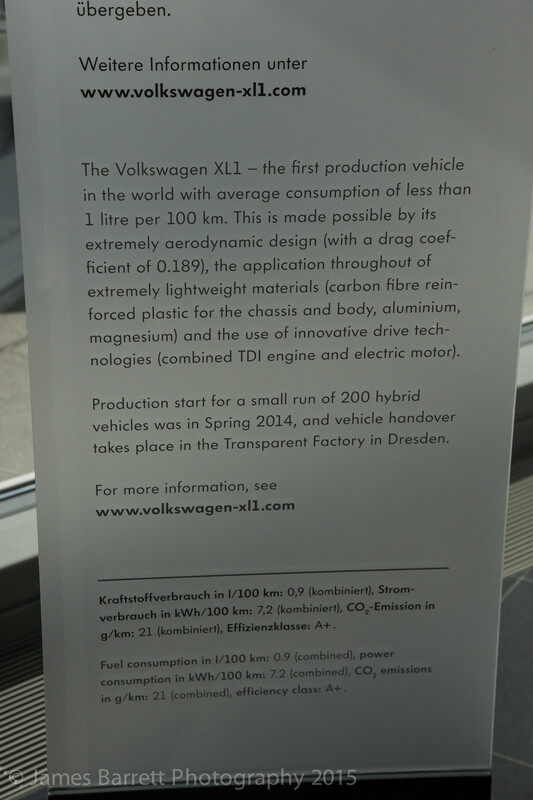 This is one view of the Transparent factory where VW Phaeton and one of the Bentley models are assembled. This silo is where finished cars are stored awaiting delivery. 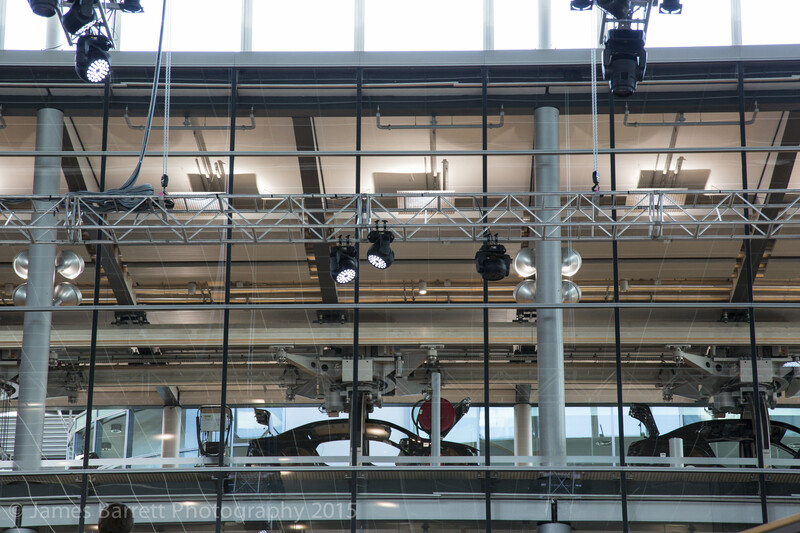 This view was the only permitted of a body suspended from a rack on the assembly track. 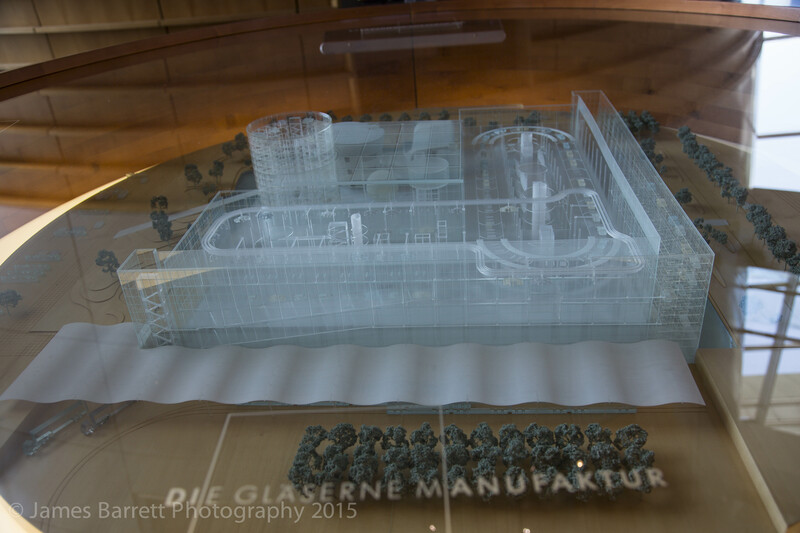 The transparent model of the Transparent Factory. 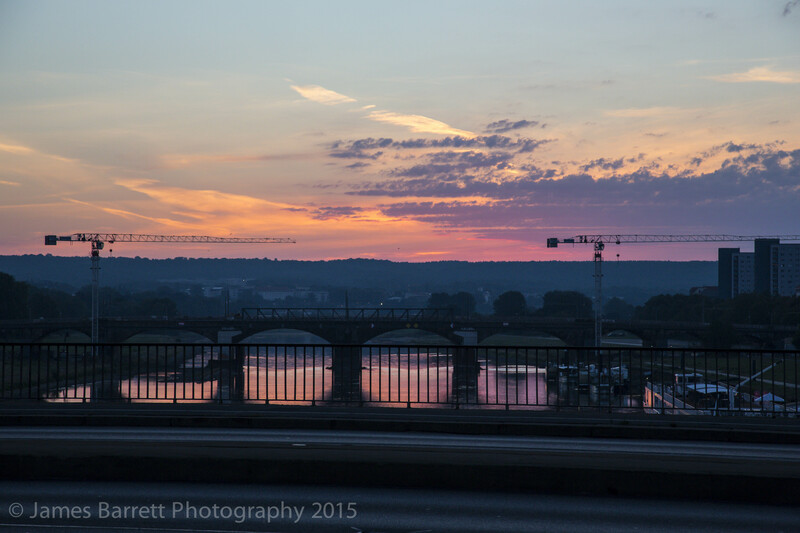 At the end of the day on the Elbe in Dresden.